Walking into Sticky Fingers, I found an Applebee’s, or TGI Fridays type of atmosphere (relaxed & family-friendly) with wood tables and benches, playing country music. 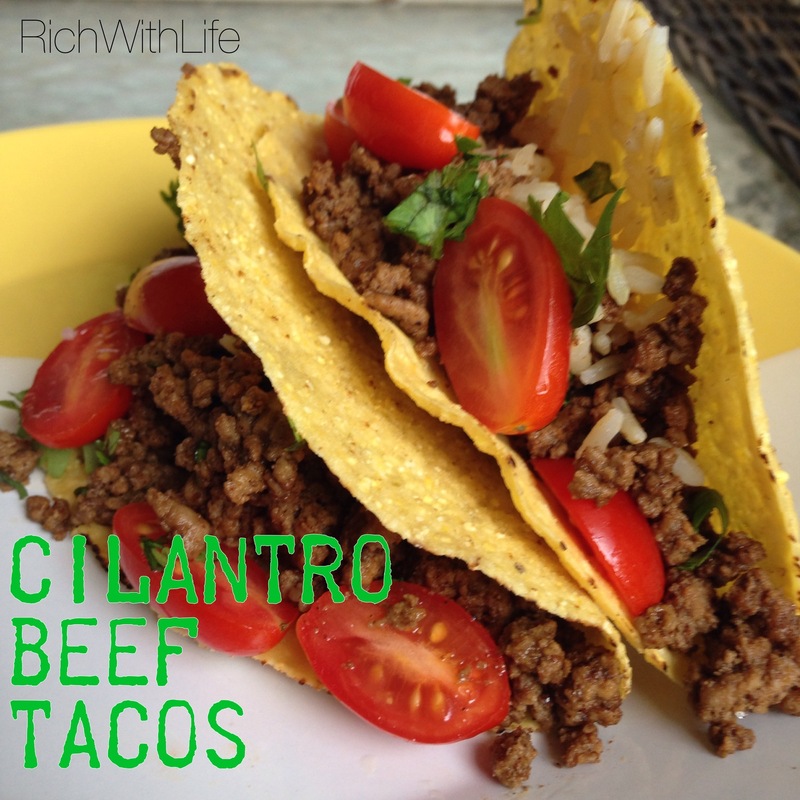 This was refreshing, since it can often be hard to find moderately-priced restaurants with safe, gluten free options. I sat down and when the waitress came by and I asked if the wings were fried with gluten-containing items (since the menu says they are “flash fried”). She nearly interrupted me to happily say, yes they are shared but we can make them gluten free by just asking the chef to bake them! It was like she was so confident in her answer and couldn’t wait to share, before I could even get all the words out (and I talk fast). 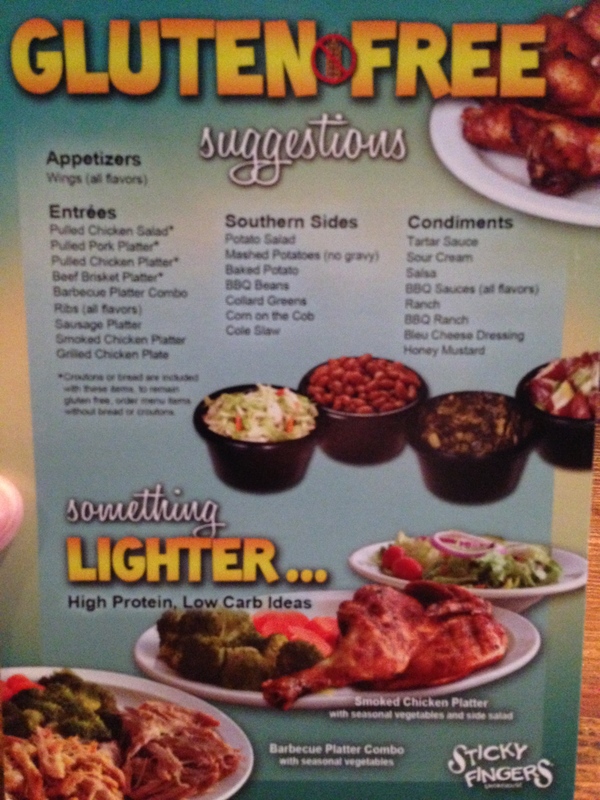 Other menu options include pulled chicken salad, pork, brisket, ribs, sausage, and various chicken plates. They have several potato and veggie sides that are gluten free. Additionally, all the BBQ sauces are gf and several other dressings including ranch, blue cheese, and honey mustard. I ordered the small order of mild wings, and there was nothing spicey about them. They almost didn’t have sauce, just seasoning, which makes me happy because there is likely less sugar than those drenched in sauce. Someone from the kitchen, or a manager, not sure which, brought my meal. This could have been coincidence, or it could have been because mine was “special” and gluten free. Not to mention, the food came out less than 10 minutes after I ordered (keep in mind this was an appetizer dish). 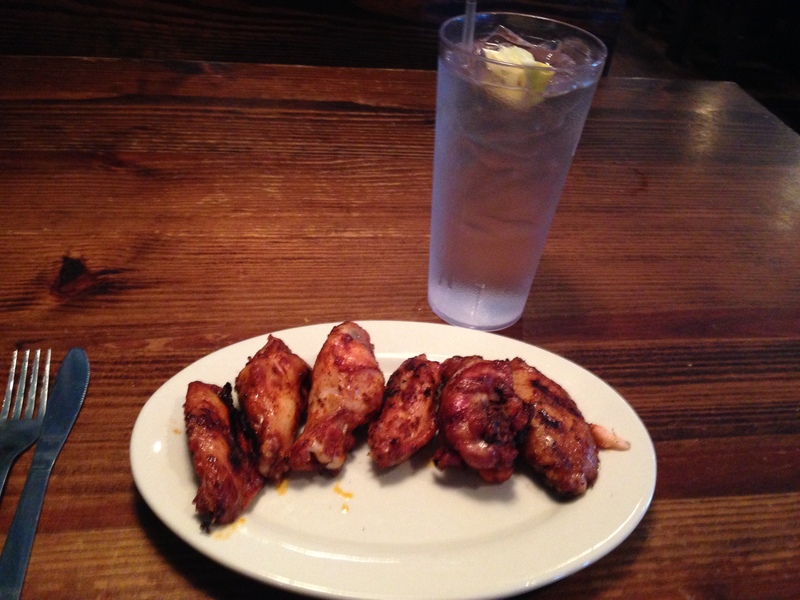 *This dish usually comes with celery and ranch or blue cheese, but I asked for just the wings. Overall I am thoroughly impressed with Sticky Fingers due to their impressive gluten free menu, knowledgeable staff, and relaxed, family-friendly atmosphere. I felt safe eating the food and was very satisfied with the price. 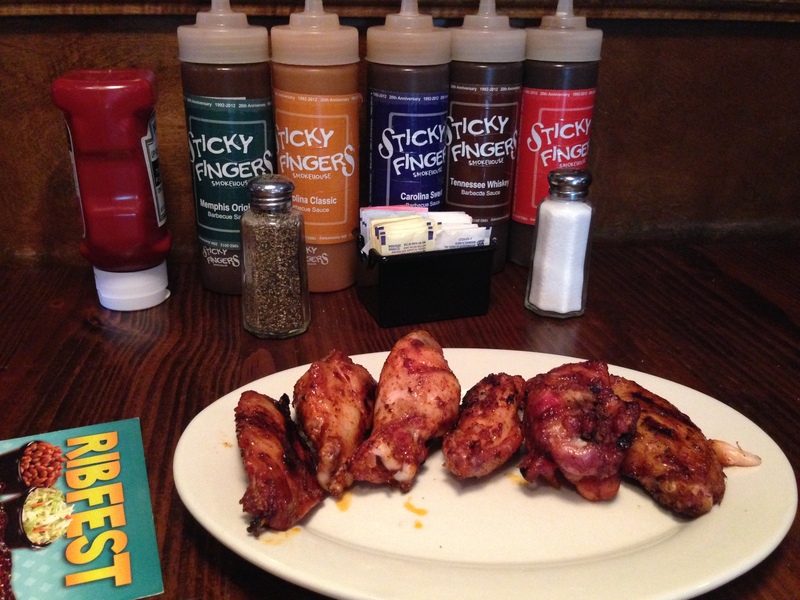 I give Sticky Fingers 5 thumbs up!